It is a story of universality, and a tale of triumph in the face of unspeakable adversity. Here at Maverick House we are very excited about the impending release of L’enfant au Coeur de Bambou. It is our much-anticipated and award-winning French edition of The Boy with the Bamboo Heart, and our first undertaking of a translation in-house. 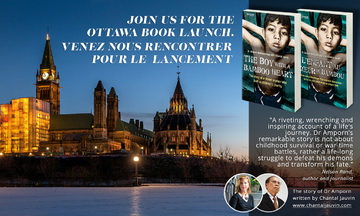 The official launch of this wonderful translation will take place on the April 27 at 19:30 pm EDT, in The Shenkman Arts Centre, Ottawa. Why not pop along if you’re about, and get yourself a copy signed by the author! 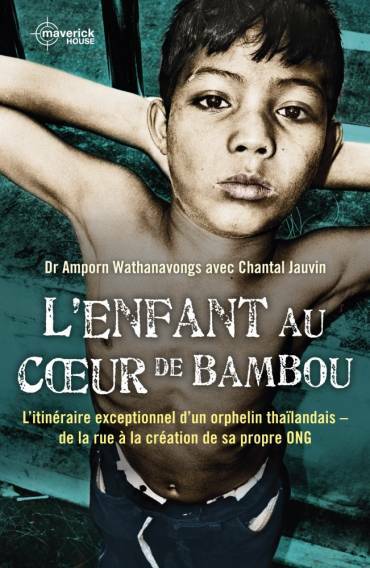 Beautifully written by Chantal Jauvin after a fateful encounter, The Boy with the Bamboo Heart details the remarkable biography of Dr. Amporn Wathanavongs. A street orphan at just five years of age in Thailand, and later a boy soldier in the jungles of Cambodia, he had to make his own way in a world filled with loneliness and poverty. 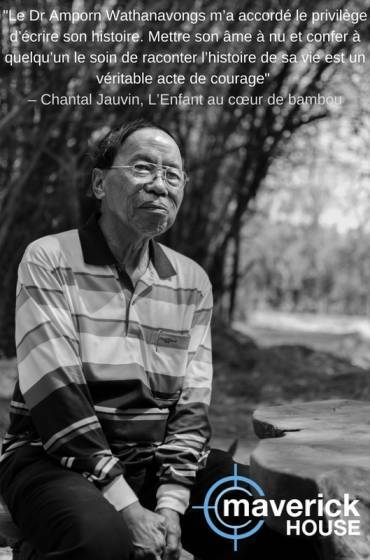 By the time him and Chantal met and she began to document his “tremendous journey”, Dr. Amporn Wathanavongs had founded the children’s charity FORDEC, and worked tirelessly on behalf of children like the one that he had once been. One wonderful reason why it was so important we published this French edition was the French Jesuit missionary, Father Boningue. He helped Dr Amporn to found the Credit Unions of Thailand and features heavily as a beacon of hope in this inspiring account of one man’s life’s journey. Jauvin is also French Canadian, and so made her work translating the text all the more close to her heart. However, for both Jauvin and ourselves in-house, this was an initial foray into the unfamiliar world of translation. Here at Maverick House, we relished the challenge. For Jauvin, her biggest obstacle lay in the fact that she was translating her own writing; “I was being critical of the writing as I was translating” she laughed, when we spoke to her late last year. From a publishing perspective, a lot of care was required. We were lucky enough to have a fluent French speaker on board with us, which made keeping the meaning of each sentence true that bit easier. With a story that reads as though it were a novel born in the imagination of Jauvin, it is was very important to us that each word was translated with complete accuracy. This meant a very thorough editorial and production process, but we have discovered a new élan for translation! Its release marks a milestone for us at Maverick House. We hope that our french readers will enjoy reading this book as much as we did translating it. L’enfant au Coeur de Bambou will be available on Amazon and from our online shop early next week.